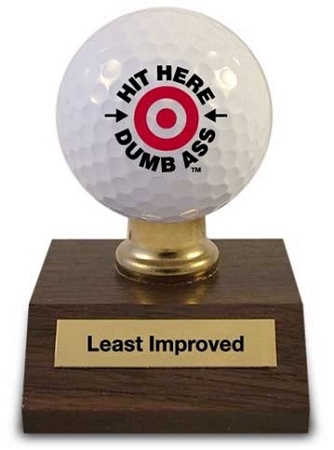 Presented to you for your continual lack of progress in the game of golf. You are living proof that practice does not always make perfect. We would like to tell you to hold your head high and keep trying, but really... what is the use. One look at your scorecard and it is obvious that a new hobby is in order.